General Richards led operations in East Timor, Sierra Leone and Afghanistan. He is particularly well known for his command in Sierra Leone in 2000 when he interpreted his orders creatively to achieve much more than was at first thought possible, ensuring the ultimate defeat of the RUF rebels and the avoidance of much bloodshed in the capital Freetown. He went on to command NATO forces in Afghanistan during the Alliance’s expansion of responsibility across the whole country. Having first commanded the British Army, in 2010 he became Chief of the Defence Staff, the professional head of Britain’s armed forces and their strategic commander as well as the Prime Minister’s military adviser and a member of the National Security Council. He retired in July 2013. His UK operational awards include a Mention in Despatches, Commander of the British Empire, Distinguished Service Order and Knight Commander of the Bath; the first officer to receive an operation knighthood since World War II. In 2011 he received the annual Churchillian Award for leadership. He was created Baron Richards of Hertstmonceux in February 2014 and now sits in the House of Lords. 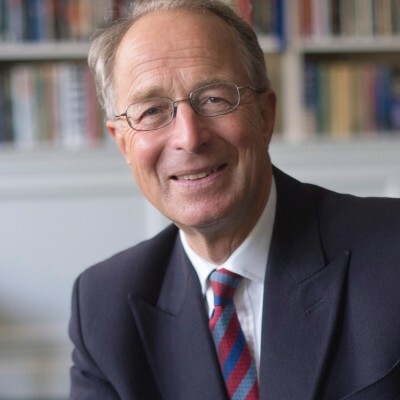 Amongst other appointments he is the Deputy Grand President of the Royal Commonwealth Ex-Services League, the patron of a number of charities, a visiting Professor of Exeter University and an Honorary Fellow of both King’s College London and Cardiff University. He is Senior Adviser to the International Institute of Strategic Studies, an adviser to a number of governments and commercial businesses, non-executive chairman of Arturius Internation Ltd and Chairman of the geo-strategic advisory company Equilibrium Commonwealth Ex-Services League of which he is the Deputy Grand President. His autobiography Taking Command, was published in October 2014.